In this pair of videos, writer Allison Pataki describes the effects her husband’s stroke at age 30 had on their marriage and how they have now become closer than ever. Read Allison's inspiring story from the January 2019 issue of Guideposts magazine! Dave and I were 30 years old. 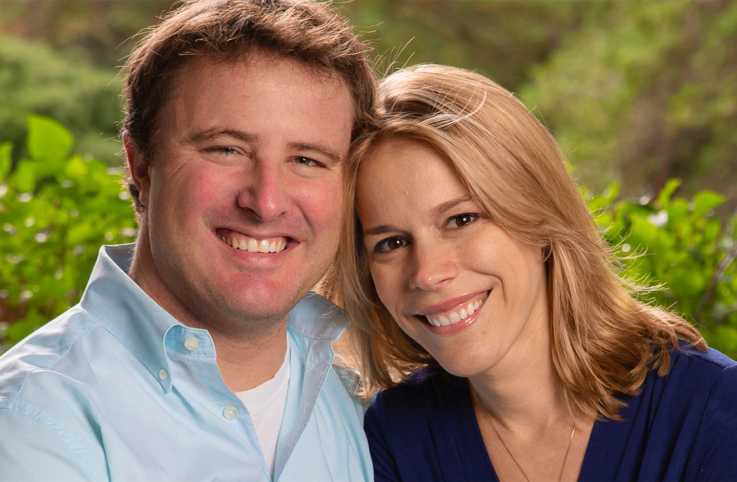 Young, healthy couple, married and on the cusp of becoming parents. So we took what is known as a babymoon—a last trip together as a couple before life changes and the new baby arrives. And so Dave and I are on the plane, I'm sitting next to my husband. He's a young, healthy physician. He's a lifelong athlete. We're on this flight and about an hour into the plane ride, Dave turns to me and he asks me, “Does my right eye look weird?” And I looked into his eye, and the answer was yes. And a few minutes later, Dave shut his eyes and lost consciousness. And from that moment on, the life that we knew, the life we had planned for, the life we were living together changed really in an instant. The flight attendants and I decided we needed to make an emergency landing. They said we will reroute the plane to Fargo, North Dakota. And Dave was in a coma. And a few hours into the ER, through this battery of tests—the doctors were able to deduce that Dave had had a very rare, very serious stroke. And it wasn't clear whether he would be waking up. And if he did wake up, who Dave would be? What we would find? Dave did wake up, miraculously, after being in a coma. He blinked his eyes open. And I looked into those green eyes and it was clear that I was looking at the body of my husband. But that Dave had been wiped clean. When Dave woke up from the stroke, his mind and his body were less functional than that of a newborn. Dave couldn't swallow. He couldn't breathe on his own. He couldn't eat on his own. And so Dave had to go through the process of regrowing his brain and his mind from scratch. When he became a little bit more physically stable, then began the really long, and laborious, and painstaking work of actually regrowing Dave's mind and his brain. And so here I was five months pregnant. Dave didn't know what city he was in, even though we were in his hometown. He didn't know what hospital he was in, even though this was the hospital in which he worked, in which he spent 24 hours a day a lot of the days of the week. And what was most terrifying and painful at times was that he could no longer remember that we were about to have a baby. And that he was about to become a father to our little girl. Brain injury is a really hard thing—not only for the patient, but for the caregiver, because recovery is not linear. You are not looking and seeing a scar, or a cast, or any sort of physical manifestation of this injury. Brain injury is an invisible injury. It's in the mind and it's the mind of your loved one that has been completely snatched from you. And it's really hard. It's really confusing. It's really nebulous. And it's something that I think takes a toll not only on the patient, but also on the entire family and support system. So Dave had to go through all sorts of therapy. We had to do it all. He had to learn everything from how to swallow, to how to eat, to how to get in and out of a car. He really went through every process of life, again. Every step of the process was difficult for him and for our entire family. But it's that last bit, I think, that was the most difficult, where he went from having a functional brain to becoming Dave once more. To becoming an adult, an independent man, and the man that I had married, and the man that I had loved. So I had moments where I felt like the man I married was no longer there, and these moments were frustrating and painful for Dave. They were frustrating and painful for me. The months go by, the baby arrived. So then we have the newborn baby in our family and also Dave, who is really growing up again, simultaneously in our home. Both of these people are growing brains from scratch. And time wears on. The fatigue sets in. The adrenaline wears off. And that's really when it got really hard was—yes, the initial crisis was difficult. But seven, eight, nine months out when you're tired and you're weary in a way that's not only physical—that's when it got really hard. And that's when the fight became—all these therapists and doctors who were talking about, the goal is a full recovery—a full recovery. We had to really think, as a family, what does a full recovery mean? Does that mean that life gets back to looking exactly the way it was before the stroke? No, that was no longer possible. That was plan A. Stroke took away plan A. So then the question becomes, what do we do with this plan B that has been dropped on us? And we, for us, really, the fight became a full recovery means getting back to a full life. And a full life doesn't mean the same life that we lived when we boarded that plane before Dave had his stroke. But it means Dave being able to participate in his life and in our family as a husband, as a father, as a son, as a friend. And at that point, Dave made the decision that he was not going to return to orthopedic surgery. And we had to make our peace with the fact that that was OK. And that life would look different after the stroke, but life would still look good. And life would still be filled with love and hope and happy moments. And making new memories. This was the first time in my life where I really confronted my own limits. And that control was really an illusion that had been ripped out from under us the moment Dave had his health crisis. And this was the moment where I really had to accept that I could not get through this one on my own. And that I was going to need help. And I had to confront my vulnerability and my own limits. I had to ask for help. I had to lean on a network and a community of loved ones in a way that I had never done before. I had to tell my friends and my family and my parents and Dave's family that we really needed their support to get through those tough early days of Dave's recovery [and] the newborn baby being in our family all of a sudden. Ultimately, I think the stroke was the moment when things between me and God got real. It was one thing before the stroke to walk around and say,” God is good and life is good.” It was quite another thing to still be able to lean on that and believe that and find that faith when things didn't feel good, when things felt scary, and when things fell completely out of my control. And I had no idea where we were going. This was a moment where I didn't know where we were going. I didn't know, as a family, what God had in store for us. I didn't know that things would be OK. And so that was really when my faith was relied on, as opposed to just agreeing with the overwhelming facts that had previously existed—that God was good. Before the stroke, God had been good. I remember there was this one morning where I felt very discouraged and I felt very tired. And I felt the grip of despair. And my mom looked at me and she said, “Ali, this is the time when you need your faith. This is when you need to lean on that. And to believe—yes, things might seem impossible right now. And ultimately, in this moment, it was when I realized I couldn't just lean on myself and my own self-reliance. I needed to lean on something bigger. I needed to lean on the friends who were telling me that they were God's hands on Earth to support me and to be here for me. And I needed to believe in something larger. That there was—in this moment, there was pain and there was hardship. But that all of it was going to be working together towards something bigger than what I could understand in that moment. And toward something that would ultimately be filled with hope and beauty and love—that there would be beauty, even in these broken places. The significance of the four-leaf clover goes back to when Dave and I got engaged. When Dave got down on one knee to propose, we were in a field of clovers and we were looking for four-leaf clovers. And so Dave bent down on one knee, claiming he had found a four-leaf clover, and I realized as I saw that he actually had a knee bent and he was proposing. And so we didn't find a four-leaf clover that day, but the next day we found two. And so we pressed those four-leaf clovers, and I put them next to the photo of us on the day we got engaged. And I wrote on our wedding day, "Dear Dave, may we always remember how lucky we are." And I gave him this photo with the four-leaf clovers on our wedding day. Right after Dave had the stroke, I would come home from these long days in the ICU, and I'd come home from this husband who didn't know the date, didn't know his own name, didn't know my name. And I would look at this image of us—so young, so naive, so happy, holding these four-leaf clovers with the note, "May we always remember how lucky we are." And I would think, "We are not lucky. Our luck has run out. Our luck is gone, and why did I have to tempt God in this way, and sort of laugh at our good fortune?" As time went on, and as Dave began to return to me and to return to himself, my definition of the word "luck" changed. Luck was no longer just dumb luck—something that we didn't even know we had. It became an active process of just being grateful, and remembering all that we had in our lives for which we should be so appreciative. And it wasn't just something that was dumb luck. It was something that you had to actually cultivate. Just a mind of gratitude, and a heart of gratitude. And so Dave survived. Dave made this miraculous recovery, and a year after the stroke, it was Father's Day. And it was Dave's first Father's Day, because our daughter had been born. And we took our daughter back to the place where we had been engaged, and we found another four-leaf clover. And so we pressed this four-leaf clover, and added hers to ours. And we still have this photo of ourselves that says, "May we always remember how lucky we are." And then, three years later, when we had our second daughter, the day before she was born, my mom found another four-leaf clover in the exact spot where we had found our original four-leaf clover and where we had gotten engaged. So we have these four four-leaf clovers now, with this image of our naive happy smiles. And now we look at that, and we look at the note of our "luck," I think, with just a deeper understanding and a deeper appreciation. And we sort of feel like it's God winking at us each time we find a four-leaf clover. 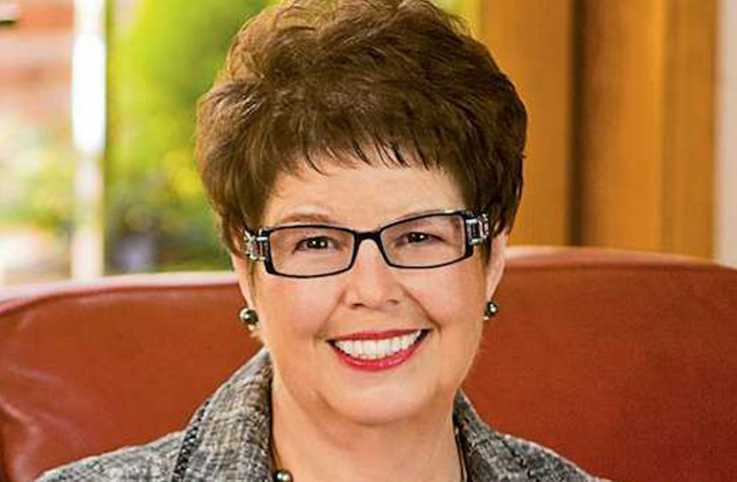 We should return the love that our parents have given us, says Debbie Macomber. 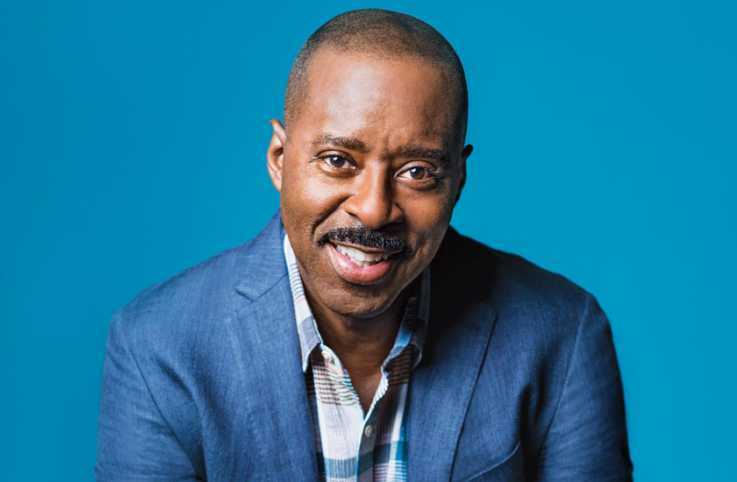 The acclaimed actor, featured on the cover of the August 2016 issue of Guideposts, shares how he, his wife, Angela Bassett, and their children have all joined together to care for Vance's mother, who is afflicted with ALS. 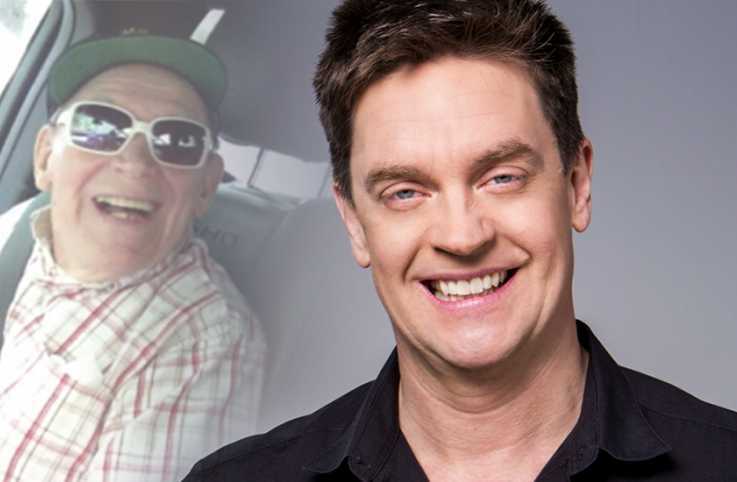 Stand-up comedian Jim Breuer talks about the healing effect humor had when he was caring for his dad during his final days.